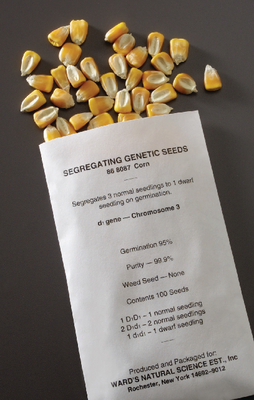 Tobacco Seeds: Grow 3 Green:1 Albino, approximately 800–1,000 seeds. 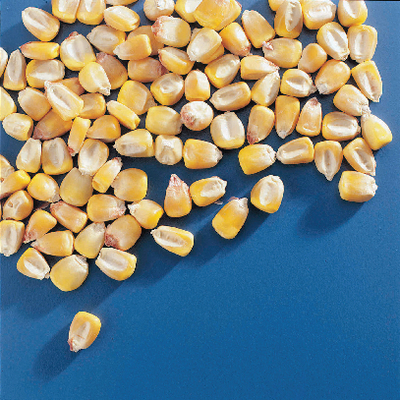 Albino Corn: Grow 3 Green : 1 Albino, Approximately 100 seeds. Dwarf Corn: Grow 3 Tall : 1 Dwarf approximately 100 seeds. Corn 9:3:3:1 : Grow 9 Tall Green: 3 Tall Albino : 3 Dwarf Green : 1 Dwarf Albino approximately 100 seeds. These seeds have been collected to show the specific results of basic Dominant / recessive crosses.